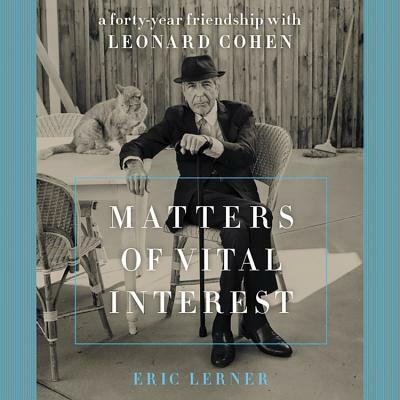 When Leonard Cohen passed away in late 2016, he left behind many who cared for and admired him, but perhaps few knew him better than longtime friend Eric Lerner. Lerner, a screenwriter and novelist, first met Cohen at a zen retreat where the two quickly bonded. The pair lost touch for a time, but, ten years later, they picked up right where they left off and became practically inseparable. A powerful commitment to zen practices flowed through their friendship and allowed it to become ever deeper over time. Over the years the two shared a house and helped each other through the pains of divorce, the joys of raising children, and the ups and downs of the writing life. These two friends helped guide one another through life's myriad obstacles, and now that journey will be told from a new perspective for the first time. Well-written, funny, revealing, self-aware, and grounded, Matters of Vital Interest is a charming memoir about Lerner's relationship with his lifelong friend. His views of Cohen are unique, warm, and often funny, and in recounting these tales he reveals a touching portrait of what a deep bond between two men can truly be. Offering further insight into Cohen's idiosyncratic style, his dignified life, the way he was deeply informed by his spiritual practices, and his sensibility as a poet first, musician second, Lerner allows readers to understand a new facet of this fascinating man through the eyes of his closest friend, and in so doing continue his legacy as a captivating persona the likes of which we may never see again.